So, what are you cooking for this coming Chinese New Year's Reunion dinner? This is a special dinner where everyone comes back "home" and the family catches up with one another. 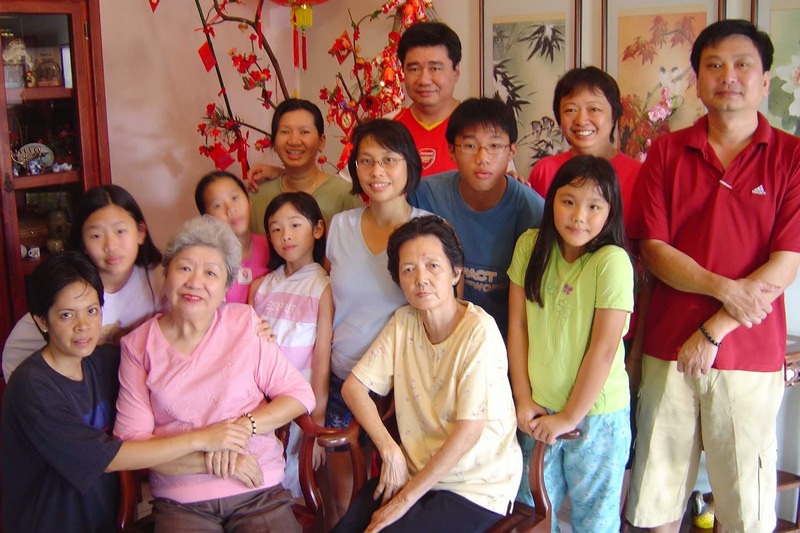 It is very special for the older folks - our grandpas and grandmas - as each CNY Reunion dinner continues a chain of tradition that stretches back as far as they can remember. I know many families these days find it more convenient to eat outside but we all know that it is not the same. In the home, the littles ones can run around and scream their lungs out while the senior ones beam and smile, seated in their comfortable chairs. You do not need to rush through dinner to accommodate the "next seating." And home-cooked meals, lovingly made, are always delicious and warms the heart, don't you agree? And yes, the reunion dinner is always about family favourites. The dishes everyone grew up with, in line with your heritage may it be Hakka, Nonya or Hokkien. In fact, when I ask a family what is usually tabled for their reunion dinners, I can guess the cultural background of the matriarch of the family. My late Mum was Hokkien while my dad was a Hakka. 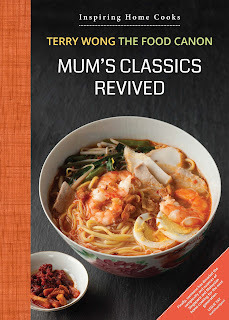 She grew up under her stepmother, who was a Nonya, from whom she first learned to cook. Like most Malaysians, we were pretty mixed up and the usual reunion dishes can be revealing. And explains some of the dishes I am planning to cook for our Reunion dinner in Petaling Jaya (Malaysia). I can hardly think of a Wong Reunion dinner without this dish. This is one early recipe which I have posted on my blog. My mum was very close to her second sister, who loved this dish very much. This is an additional reason why it was a regular feature. 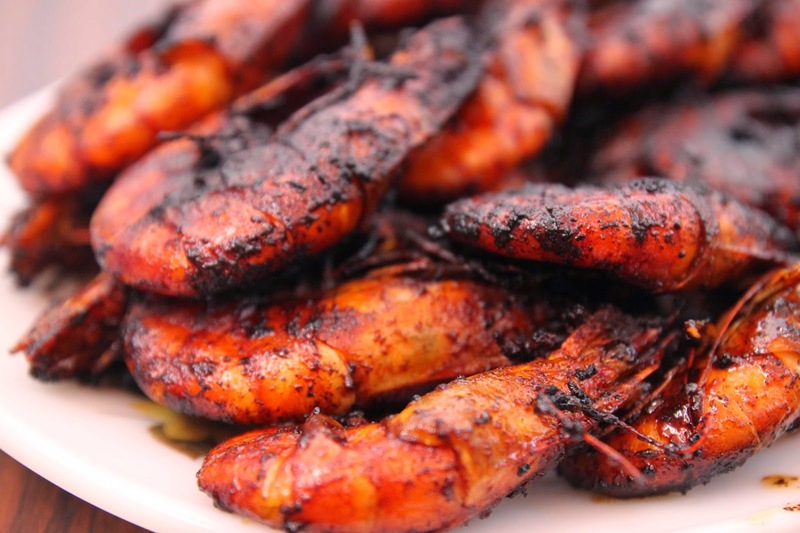 In those days, river prawns were wildly caught and it is sweeter compared to farmed ones. These days, we have to make do with the latter. You have to buy them fresh and swimming. My brother will be bringing it down from Ipoh. There were years when we could not get river prawns. 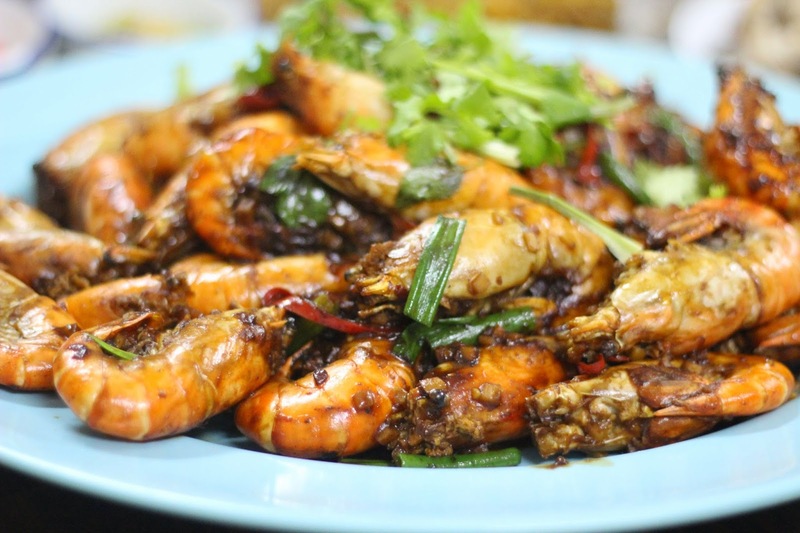 A good family substitute will be fried large Assam prawns. They keep well for CNY duration and it can be served again as a snack. There are different versions of this, depending whether you are Nonya, Hokkien or Cantonese. My mum uses white fermented bean curd (Fu Yi). This dish also reveals our past Taoist roots where going vegetarian was the habit for some during the first day of CNY. I won't mind going vegetarian once in a while if bowls of this can be savoured. Today, most of us have become Christians but dishes like this reminds us of our roots and cultural environment we grew up in. You can find the recipe here. My mum used to order some special "Choy yin kai" ( kampong chicken). After simple steaming, it is served with chilli sauce and a beautiful ginger garlic sauce. The chicken had a lot of yellow fat in it. I am not sure we can find these types of chicken easily but we are trying. This is a dish which does double duty for the "gods" as Mum used to serve it on the worship altar first. And of course, we get to eat it after. We will be steaming one for this time round - not for the gods - but oh well, some greedy human beings. My brother is trying to lay his hands on some good chicken. We shall see. A 40-45 minute steam will do it. Rub with some salt first. In the latter years, as my family got a bit richer, abalone, flower shitake mushrooms, pacific clams and the "treasure" items started to appear. This was always the star dish. As I find them expensive, I hardly buy them myself. But the usual CNY hampers will come in and depending on what "treasure" is in them, I will be cooking it up. The "Pen Cai" idea is also interesting and i may just layer up the "treasures." This was another perennial favourite and is probably the only dish that reveals our secondary Hakka roots. For some reason, Hakka culture is normally eclipsed when it collides with Hokkien or Cantonese and it was certainly our experience of that living in West Malaysia. This dish keeps well for the next day. Check the recipe here. This was also served regularly, accompanied by fresh lettuce and sambal belachan. It is as Penang Nonya as one can get. Ahhh...I have many memories of enjoying this on our reunion dinner. I can almost see my Mum again as I write this. Sigh. I have not cooked this dish before and I am not sure I can make it like my Mum's but I will try. 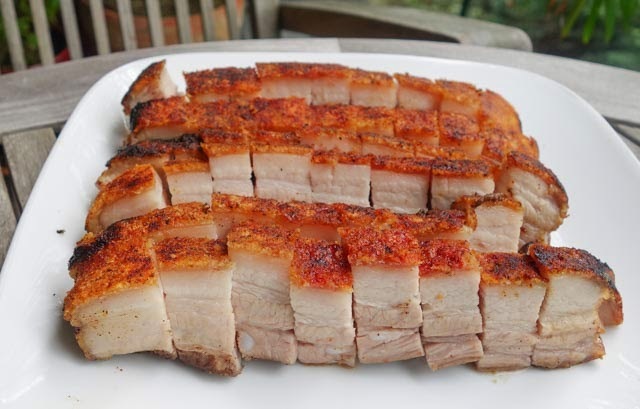 And there is of course some favourites like Siu Bak. With Sous Vide, it is a no-brainer to cook beforehand. For the next day, frying it in some garlic and black sauce makes for another delicious dish. 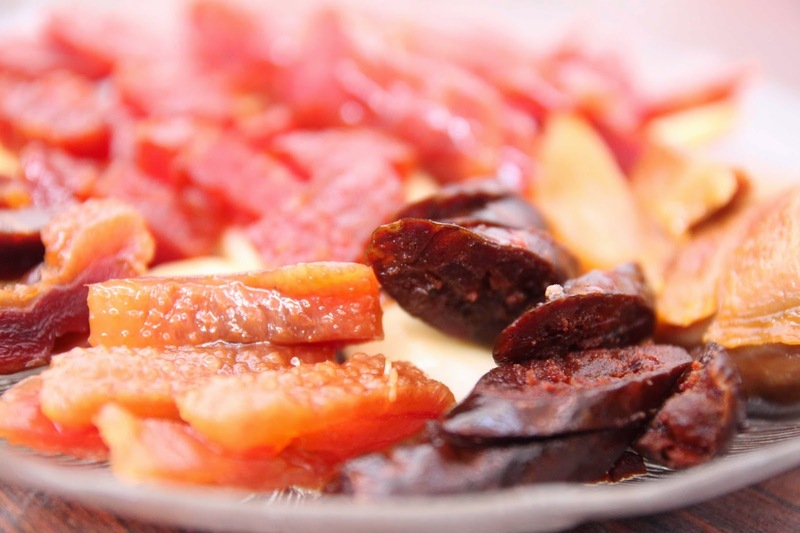 Cantonese waxed meat is easy to prepare, whether steamed or pan fried. It keeps well for nibbles in the next few days. Curries are also family favourites for the 1st and 2nd day of CNY. 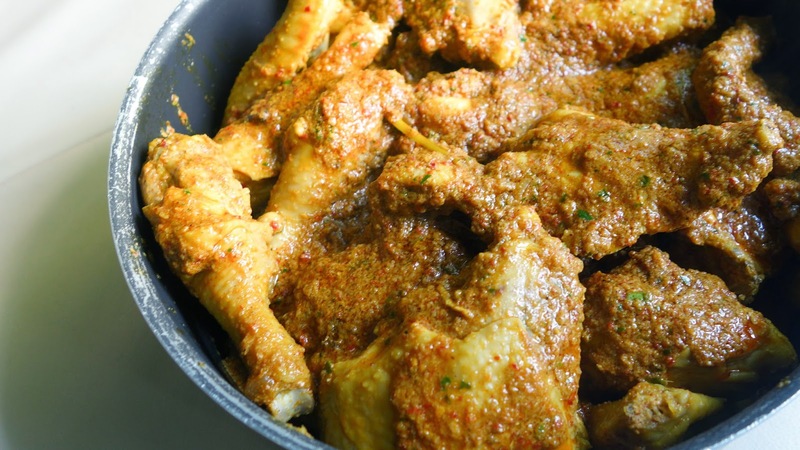 My Mum's Curry Chicken and Beef Rendang will be on the list. For some reason, my Mum's rather famous wok-cooked Char Siew has never appeared at our Reunion dinner. Truth be told, it was just one of my Mum's rather ordinary dishes and it somehow did not fit well with our usual Reunion spread. 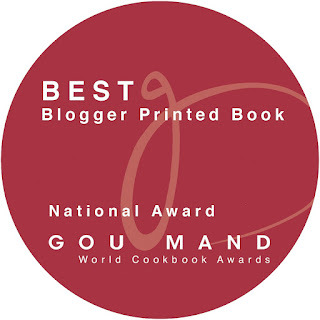 But it is her most popular recipe on my blog. So, what are you cooking up for yours? Just cook up some of your family's traditional food. If necessary buy some dishes in if you cannot cook everything. Start your planning early. Prepare your bone or chicken stock and fridge it. Tumbuk your sambal and prepare your sauces beforehand. Have fun planning and cooking and may you have a wonderful family reunion.